I was born in Orbost, East Gippsland on the Snowy River. My parents, Myrtle and George Rowley, called me June. Apparently my father, who loved to sing and whistle, wanted to call me Jeannie because of a song he liked called Jeannie With the Light-Brown Hair. Anyway, they settled on June and that made me June Rowley (By the way Rowley rhymes with ‘holy moly’). For some reason my father never called me June; he called me Brigitte (or Brigid). I think that was because of an actress he liked called Brigitte Bardot. At primary school my friends called me Peggy because we chose names for ourselves instead of using the names our parents chose for us. These days my full name is June Barnes-Rowley. That is often shortened to JB Rowley and I am mostly called JB. My earliest memory of a home is a two bedroom farm house out on the Bonang Highway a few kilometres from the township of Orbost. It wasn’t long before that little house was crammed to overflowing with seven kids. It was probably rather stressful for Mum and Dad but for us kids it was paradise. We roamed the neighbouring sheep farms and picked mushrooms and blackberries, caught tadpoles in the billabongs and rode a fat ram like a wild horse. We rambled through the bush exploring its infinite mysteries and enjoying endless moments of discovery. In this wild, feral existence I was secure, assured and confident but at school I was shy, confused and awkward. I was small and insignificant and so skinny I looked like I had overdosed on worm tablets. Eventually I acquired the usual curves which attracted the attention of potential future husbands. I chose an Englishman (Dennis Barnes) and enjoyed a ten year journey as his wife after which we went our separate ways. Interestingly, before migrating to Australia, the Barnes family lived near the great grand daughters of Charles Dickens, one of my literary mentors, in Reading, Berkshire. When I was around six years old one of my aunts in Albury sent me a copy of Dickens’ Great Expectations. She knew I loved books but she kept getting our ages (there were seven of us) mixed up and she thought I was older than six. It didn’t matter because I devoured any book I got my hands on and Great Expectations was thrilling for me. I remember being scared of the convict but apart from that I loved reading the book. That was how a skinny little bush kid, isolated by distance and poverty, was introduced to Charles Dickens. At school in Orbost I was encouraged to write by very supportive teachers who saw potential in a shy bush kid. My murder mystery series of which Murder in Murloo is the first book. 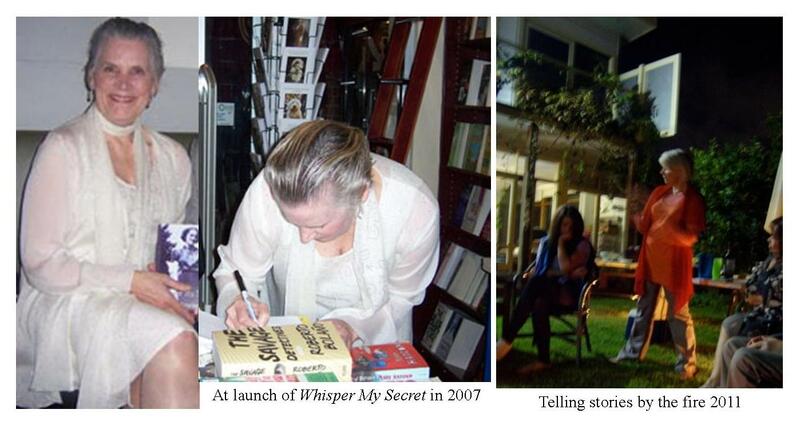 My first novel: Whisper My Secret and its sequel Mother of Ten. My ambassadorship for the Foundation for National Parks and Wildlife. 1: People accusing me of something I did not do. Boy, does that get my goat, especially when that accusation is based on assumption. 2: People putting a full stop after the J and the B of JB. JB is a nickname, the letters do not represent initials. No full stops are necessary. No full stops are used. 3: When people pronounce the ‘ow’ in Rowley to rhyme with ‘cow’. The ‘ow’ in Rowley is the same sound as in ‘bowl’; Rowley rhymes with ‘roly-poly’ and ‘holy moly’. 4: People assuming I have made up the name JB Rowley to link myself to the famous author J.K. Rowling. Well, let me tell you I had my name before she had hers and I was known as JB before her name appeared on the best selling lists AND to someone who has lived all her life as a Rowley the name ‘Rowling’ does not seem similar at all. So put that in your pipe and smoke it! having fun, and much more. As of June 2012 I have become an ambassador for the Foundation for National Parks & Wildlife. I am so excited! Hello JB….thank you for sharing your insights on your mother’s experience. Your sensitivity in interpreting her reaction to many things, especially her meeting Audrey. That encounter was precious and true. You touched the exact feeling she must have had because I too, have met my “forfeited child” after fifty years and have had much the same angst reconciling the horrible reality of those lost years. The trauma imposed by social dictates that separate a mother and child is real, and the coping mechanisms of false-self, a fractured reality and shame-filled self-sacrifice are the tools some of us “erased mothers” use to forge a reasonable facsimile of the young innocent females we used to be before we were “broken”. There is a heartbreaking number of women and children still feeling the emptiness of severed affection. For many mothers and children there exists a birth bond that has never broken….yet, the chance to reconcile has not been able to be embraced. 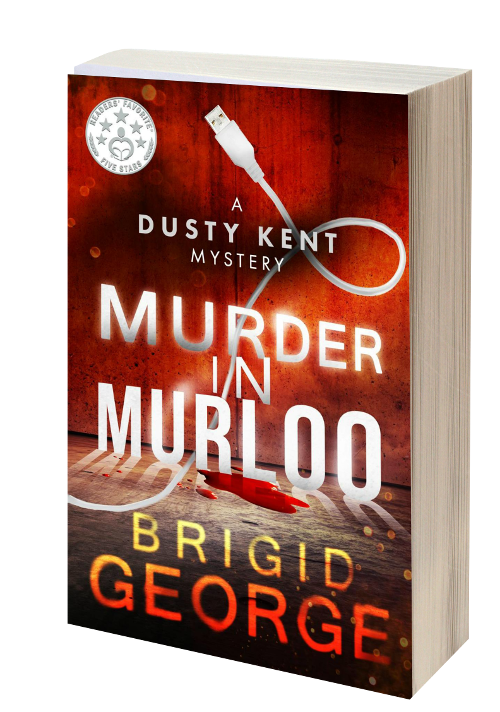 Good Morning June, just buy MURDER IN MURLOO, I hope that arrive soon !! I found Mother of Ten to be melancholy, touching, honest and thought provoking. It left me wanting more…then, I experienced such sadness thinking about the evil perpetrated on women and their children. I am curious to know how all of this has affected you, Ms. Rowley? Thanks for getting in touch. Your comments have pretty much summed up the way I feel. I see my mother’s story as the story of many women – as heartbreaking as it is to think of so many women who were separated from their children. I did feel a deep sadness on behalf of my mother as well as a feeling of awe for the way she managed to make a new (and very productive) life. She is remembered with deep affection and respect by many people in Orbost (where we lived) who knew her and appreciated the way she was always helping others. I hold the same awe and respect for her first three children who have each lived productive and fulfilling lives. I guess the most significant impact that my mother’s story had on me was that I felt compelled to write two books about her. When I was a kid and boasting about being a writer when I grew up she told me she might give me something to write about one day. Little did I know! Thank you for emailing so quickly. I hesitate to sound sappy, but it’s easier to make this next comment in private. Here goes…I cannot help but be impressed by your family’s extraordinary ability to press forward in spite of the struggles. Your writing/storytelling gives the feeling there is something tremendously special about the writer, too…OK! Enough syrup….lol. I read Whisper My Secret last week & I have just finished Mother of Ten. Your mother was an amazing woman & mother. Thank you for sharing such a touching, heart felt part of so many lives. I have found things out through these books that have helped me tremendously now as well as throughout the future! God bless you and all involved! I discovered “Whisper My Secret” this afternoon and had to read it in one sitting. I couldn’t help but cry in despair through the whole book for your poor mother. After stopping to go kiss my three sleeping children, I’m ready to start on the sequel. Thank you so much for sharing this moving story. Thank you JB for sharing your mother’s story. I couldn’t put it down! I’m so happy the sequel is available for me to read already! My heart went out to your Mum with what she had to overcome in leaving Bertie, Audrey and Noel behind. It sounded like a needless emotional upheaval for those three little lives too. Times were hard and often unfair. You did a lovely job of setting her story straight! It’s good to read an example of the power of love and courage. Thankfully, she attracted the husband she deserved and I’m sure she felt blessed with the rest of you seven children. I just finished Wisper My Secret. I have loved every word amd look forward to the sequel. The words will remain with me for a long time. Thank you for writing this story. jb, I just finished your first book. loved it! hard to believe how different the world was. you did such a wonderful job of painting a beautiful picture of the love between your parents. so glad she found someone to adore her. but what a tragedy she endured. I am the mom of 6…can’t imagine her pain. looking forward to reading the next book. Thanks so much Donnie. I’m a sucker for compliments! Yes, mothers like yourself can really empathise with Myrtle’s situation. How she coped is addressed more in the sequel (Mother of Ten) which has been released. I just finished both books. Couldn’t put them down. Broke my heart for those three children and your mother. Have you heard from your oldest two borthers? Since Mother of Ten is recently released, it is still a new experience for me to have someone say they have read ‘both books’. It sure sounds good! No, at this stage we have not heard from Maxie and Bobby but I am sure they will find the homeward track eventually. So thankful for your father and his unfailing love for your mother…..redeeming love….kind of like God’s love for all His children. Thank you for sharing this story! Precious! Hello, JB! Thank you for sharing your mother’s story with the world! I also hugged my boys extra-tight after reading! It was terrifyingly heartbreaking, and I wept with & for your Mum! I can’t wait for the sequel! Is it out yet? I am anxious to know more! Oops! I see that the sequel is already out!! Silly me! I don’t know how I missed that! I will be downloading ‘Mother of Ten’ right away! Thanks again for sharing this amazing story with us!!! Yes, the sequel has just come out. I must find a way of adding that information to the back of Whisper My Secret. The notes there are misleading because they say the sequel is in progress. Let me know your thoughts on Mother of Ten when you have finished it. Wonderful story. How did you find everything out? Was it through interviews with lily? Thanks for reading Whisper My Secret and visiting me here at the blog. I had to undertake quite a bit of research to find out the information I needed to write the book. Yes, much of it did come from Lily. I also interviewed Henry Bishop’s second wife and others who were alive at the time and accessed Australian Government court documents. As you can probably tell, where I have not had intimate knowledge of circumstances I have used supposition and imagination to fill in the gaps. Although the ebook is categorised as a memoir, the book really sits somewhere between memoir and fiction. However, I did not think it appropriate to list the book as fiction. After all my mother went through I wanted people to be sure that it was a true story. Amazing story. I could not put it down! Your mother was a courageous woman. No mother should endure whet she went thru. After reading the story, I hugged my three kids for a long time! Give your kids another another hug from me! I am touched that you (and other readers) see my mother as courageous. I didn’t see her that way – more of a victim with few choices – but now that I am working on the sequel and digging a little deeper I can see her courage. Started and finished “Whisper My Secret” yesterday. Thank you for sharing your life. I am keeping my fingers crossed for Plan A. Loved it! Can’t wait for the sequel! Just finished your book “Whisper My Secret” and absolutely loved it. I couldn’t put the book down! If you ever do speaking engagements up in Queensland – I hope you’ll let us all know because I’d love to meet you. JB, I read your book yesterday (couldn’t put it down) and found it fascinating. I’m full of questions about the first 3 children but I guess I’ll have to wait for the sequel. My grandmother had a secret surrounding the birth of my mother and she (along with her sisters) took it to her grave, so I only have speculation. How I wish I could reconstruct her story but everyone involved is dead. If you have any suggestions I would be grateful:) Mainly I just wanted you to know how much I liked the book! I just wanted to thank you for writing, what had to be a difficult story to tell about your dear mother. I will very much be looking forward to reading the sequel and am curious to know more about the lives of your half siblings. The heartache of such tragedy hits every mother who reads your book. I, myself, am blessed with eight children and wouldn’t want to live without any of them. Thank you again!!! When will the sequel to “Whisper My Secret” be out?